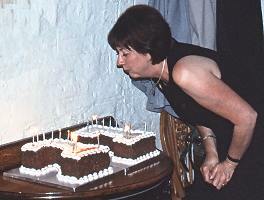 Judith Egan-Shuttler (the editor of JAAS in its formative years) blowing out the candles on the 21st anniversary cake. The 2017 meeting was held at the University of Surrey, Guildford. Following the official business on the 5th July, members enjoyed the annual dinner at the Barnet Hill Country House Hotel a few miles outside Guildford. The 2016 Board Meeting and Dinner was held at Liverpool John Moores University on the 7th July. Ponsbourne Park Hotel in Hertfordshire was the venue for the 2015 Board Meeting and Dinner on the 2nd July. 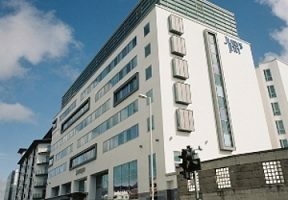 The 2014 Board meeting and dinner was held in Plymouth, UK in the Jurys Inn and Kitley House Hotel, respectively. The Board meeting was again held at the University of Surrey, Guildford for 2013. The 2012 meeting was again held at the University of Surrey, Guildford. Following the official business on the 5th July, members enjoyed a reception at the Guildhall and the annual dinner at the Olivo Ristorante Italiano in Guildford. The meeting was held at the University of Surrey, Guildford on the afternoon of 14th July followed by the annual dinner in the evening at the Olivo Ristorante Italiano in Guildford. Homerton College, Cambridge, UK was the venue for the Annual Board Meeting and Dinner on the 9th July. At this occasion, the 25th Anniversary of ASU was celebrated. The 2009 Annual Board meeting took place at the Health and Safety Laboratory, Harpur Hill, Buxton, Derbyshire on the 28th April. This was followed by the Board dinner at Hassop Hall, Derbyshire. The University of Sussex in Brighton was the venue for the 2008 ASU Annual Board Meeting on the 10th July. The Board agreed to a change in structure of the reviews. In 2007, the ASU Annual Board Meeting was held in Rome at the Istituto Superiore di Sanita on May 4. The ASU Annual Board Meeting in 2006 was held at Glasgow Caledonian University on the 13th July. The ASU Board Dinner, which followed, was a celebration of 21 years of ASU. The Board was honoured to have a number of guests who made significant contributions to ASU in the past. A special presentation lunch was held in Plymouth for the retirement of W. John Price. John had had a long involvement with Annual Reports on Analytical Atomic Spectroscopy and its successor, ASU.